Motorcycle Performance Specialties is excited to announce the immediate availability of our new Featherweight Motorcycle Drag Racing Shift Lite. It features 4 super bright red LEDs for visibility in the daytime. This small, lightweight, low cost shift lite measures just 1.0” wide x 2.2” long x 1.94” high. 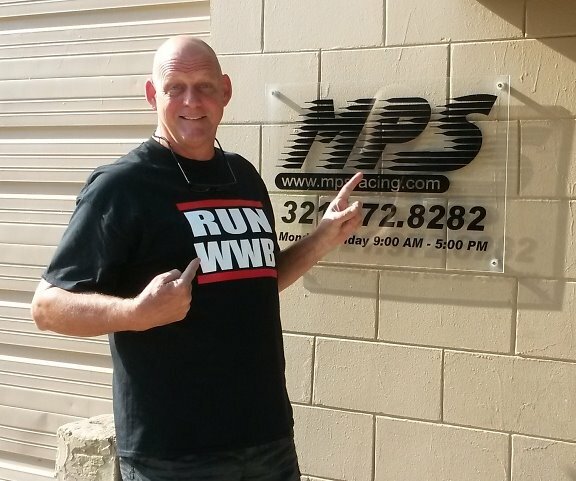 Dan Rudd of MPS with his World Wide Bearings shirt on. The Street Lite Shift Lite is constructed of durable ABS plastic and weighs only 50 grams. It comes with Velcro to mount it to any flat surface. The mounting base has 2 mounting holes for screw down mounting also. Housings are available in Black, Blue, Red, Green, White, Yellow, Purple, and Orange. Black are in stock, while colors may take an extra day or two. 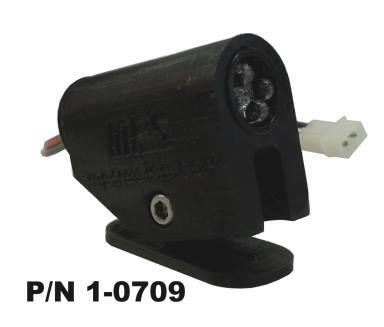 The MPS Street Shift Lite (P/N 1-0709) is priced at $39.00 each and are in stock for immediate shipment. Amazing August Special on MTC Pistons - Free Custom Mods!